Present condition: Outside: Good / Inside No interesting, totally modernized Cultural municipal offices. Visits: Only the exterior is interesting to be visited. 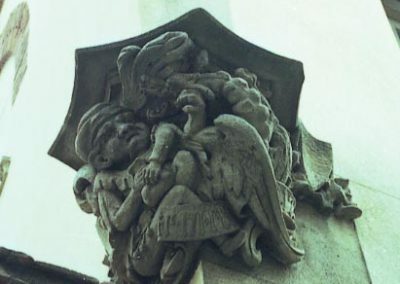 Designed by Josep Puig i Cadafalch in 1892 and finished in the year 1894. 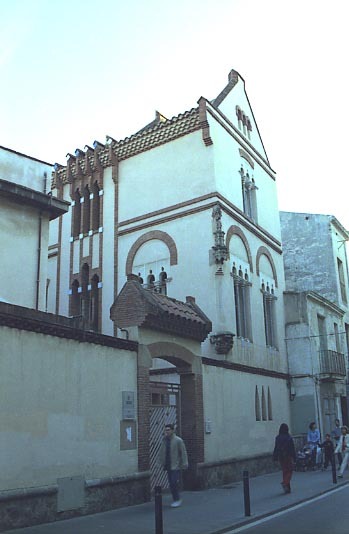 This building was initially the seat of Charity organizations in Mataró. This is a very interesting building with two levels, build in apparent brick on the façade. 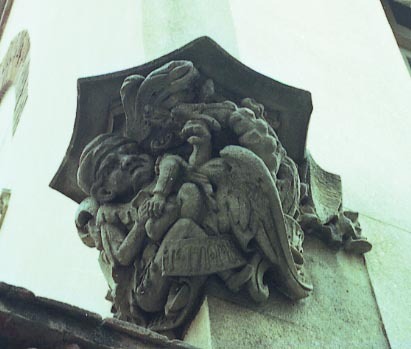 That façade has a mature Art Nouveau air, instead of the young age of the architect in the time of building construction (25 years old). 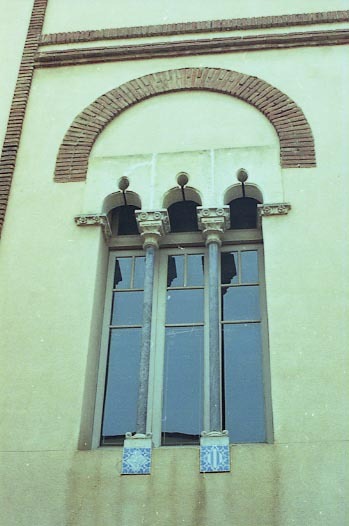 The windows are adorned with neo gothic elements and sculptures. 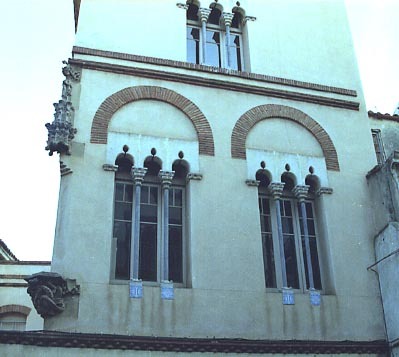 At present the building is occupied by the Patronat Municipal de Cultura de Mataró (Municipal culture administration of the city of Mataró). 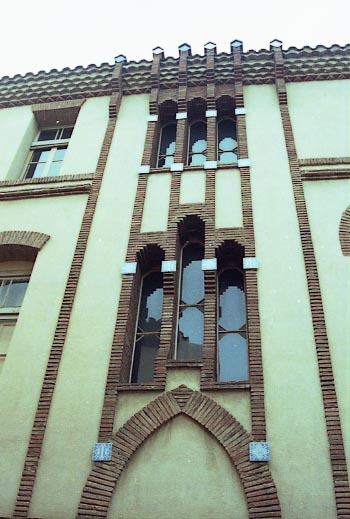 The outside part of building, specially on courtyard is the most interesting to visit.